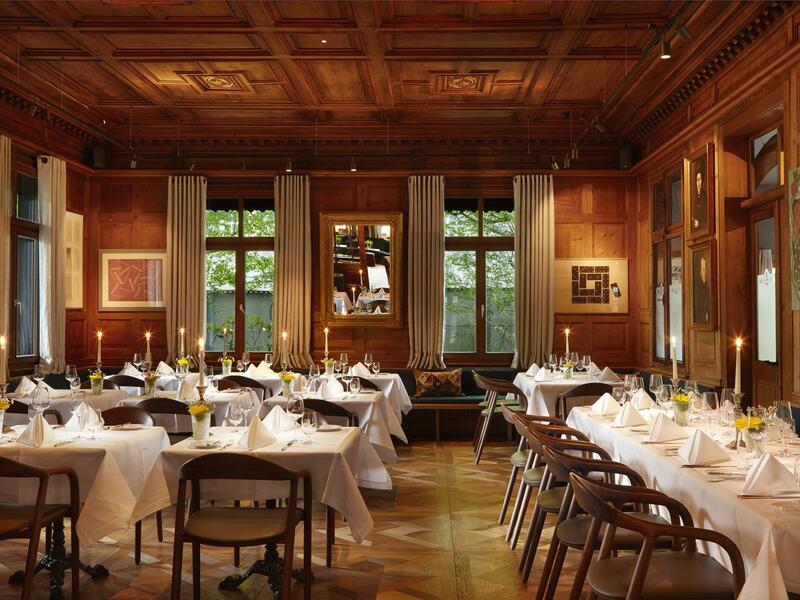 The Hirschen incorporates its open-minded and innovation-friendly attitude within its long-standing traditions. We see the interaction between people as a essential part of our house. We at the Hirschen are proud of our heritage in the Bregenzerwald and the many traditions that exist here. We're also proud of always having had a broad horizon, which extends from our own valley to the world. Discover the grace of centuries-old wooden ceilings, modern wines, touching dishes, young people and those who are forever young - all unique characters. Experience surprising stories, true art and a lively spirit. Once our house has a positive effect on all those who we are connected to as well as on the nature surrounding us, we will have achieved our goal. 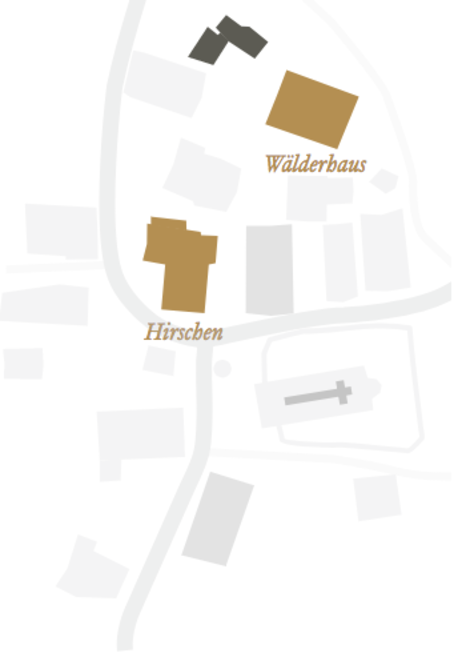 The Hirschen houses 36 rooms, located in our historic inn and in the traditionally built "Wälderhaus" directly behind it. No room resembles another, each one dedicated to an artist whose art is part of our family's collection or has made a defining impact on the hirstory of Schwarzenberg and the Hirschen. Have you found your favourite room? 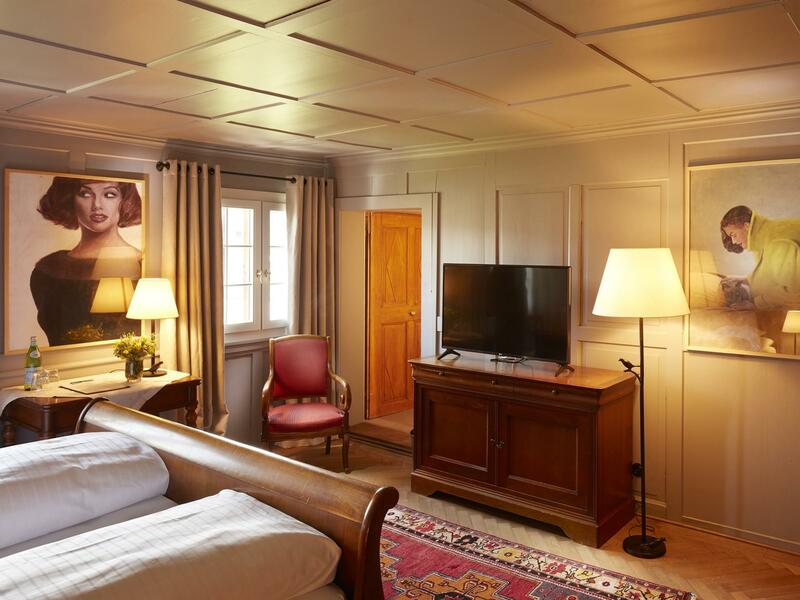 Sleep in our most prestigious suite and experience living modern living under centuries-old ceilings. There are many things that you can do in Schwarzenberg. Our recommendation however is to take the time to just do nothing for once. Have a long breakfast. Read your favourite newspaper from front to back. Have a light lunch and then take a stroll through the pretty town center of Schwarzenberg, maybe have somebody tell you the stories behind it's architecture. Indulge yourself with a massage and some time in the sauna. Read a few more pages and take a nap. Have a drink in front of our fireplace and enjoy an extended siix-course dinner. Engross yourself in good conversation at the bar. What a day! The Hirschen has been studying the events happening on town square since 1755 and learning from it.